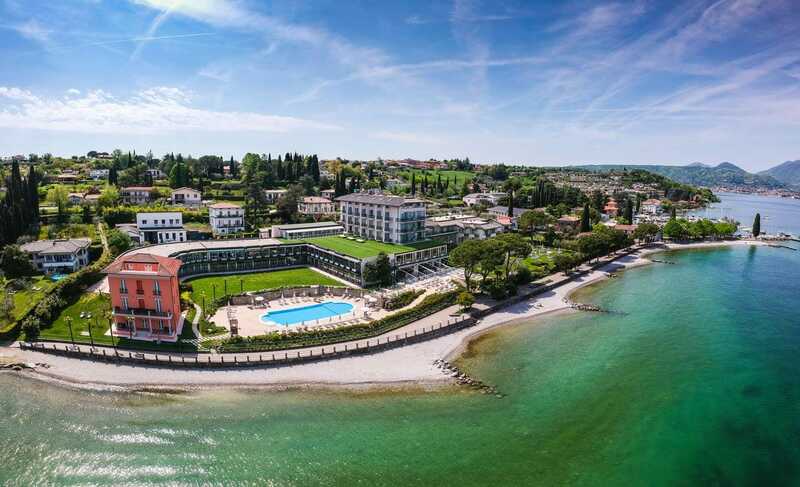 Surrounded by its own gardens, Park Hotel Casimiro is a beautiful place to enjoy a relaxing break directly on the shores of Lake Garda. It features 2 large outdoor pools. Part of the Blu Hotels chain, the Casimiro offers elegant rooms situated in the main building and dispersed throughout the grounds. Each comes with satellite TV, air conditioning and a private bathroom. In the evening, you can enjoy Italian cuisine in the dining rooms with beautiful views across the lake. Half board rates include house wine, beer, soft drinks and water with your meal. From the end of May until September, there is a fun kids’ club as well as daytime and evening entertainment. You can relax by the pool or on the private beach area nearby.